Congratulations to Faculty of Education Professor Stephen Gaetz on being one of three York professors recently appointed to the Order of Canada. Faculty of Health Distinguished Research Professor Ellen Bialystok, and Osgoode Hall Law School Professor David Vaver are also among the 113 new appointments to the Order of Canada, which is the country’s highest civilian honour. 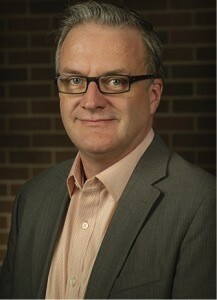 Gaetz was appointed for his leadership in providing evidence-based research to policy makers and practitioners in the movement to prevent and reduce homelessness in Canada. As a professor in the Faculty of Education at York University and the director of the Canadian Observatory on Homelessness and the Homeless Hub, Gaetz has garnered international attention for his work on homelessness. In 2005, Gaetz played an integral role in the creation of the Canadian Conference on Homelessness – the first research conference of its kind in Canada, which was hosted at York University. York University now hosts the Canadian Observatory on Homelessness and the Homeless Hub, the first comprehensive and cross-disciplinary web-based clearinghouse of homelessness research in the world. The focus of this network is to work with researchers across Canada to mobilize research so that it has a greater impact on homelessness policy and planning. He is also the President of Raising the Roof, a leading Canadian charity that focuses on long term solutions to homelessness.